It was time for another adventure with B&G (aka. 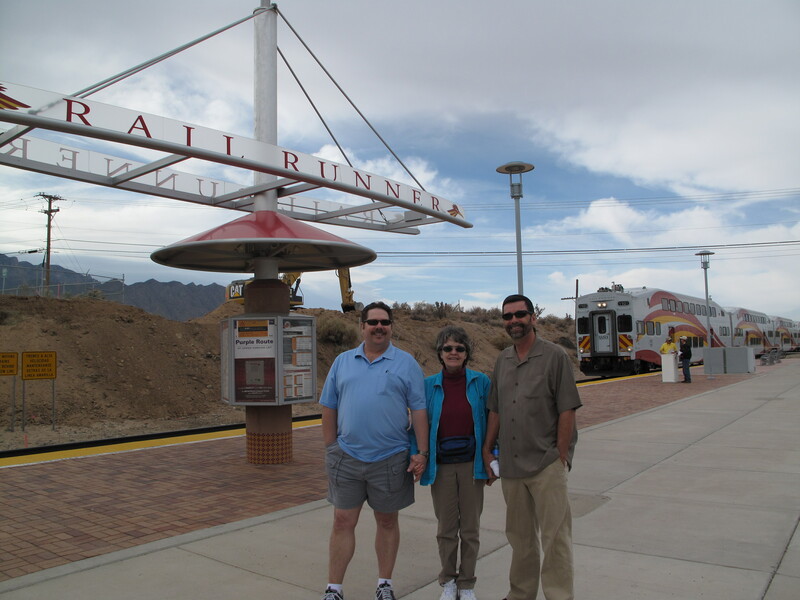 Brian and Grace), so we headed to the train station to catch a ride north on the New Mexico Rail Runner Express … meep. meep. 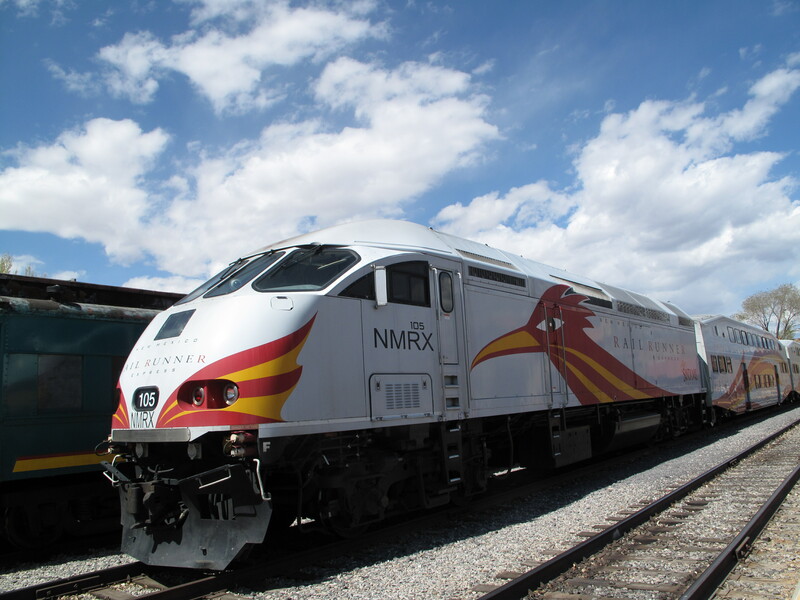 New Mexico residents have a new (relatively), cool option for exploring the Rio Grande Valley with the recently constructed rail line that runs from Santa Fe to Belen. It’s a great way for commuters and adventures alike to see the sights by the means of this form of transportation that helped expand the West. Heck, railroads are the reason many of us call this square state home (thank you grandpa and grandma for your decades of service to AT&SF). Some of the interesting passengers aboard. Cozy in our seats on the smooth-sailing Rail Runner this early Saturday morning, it was interesting to see who was all aboard. We met some cyclists with their bikes who were using this Iron Horse to facilitate their two-wheel adventure. We saw families with luggage, musicians with bongo drums, and workers in suits and ties. We also got to know Judy who purchased a one-way ticket to visit her daughter in Santa Fe for a couple of days. The main purpose of our trip: LUNCH! 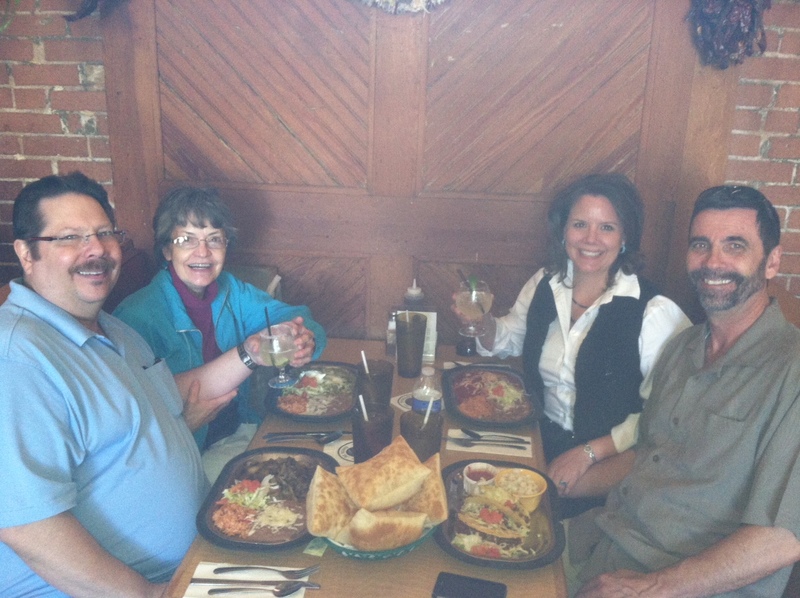 One of my all-time favorite restaurants in Santa Fe is Tomasita’s. I have fond memories of eating here with my mom during many of our enchanting adventures. 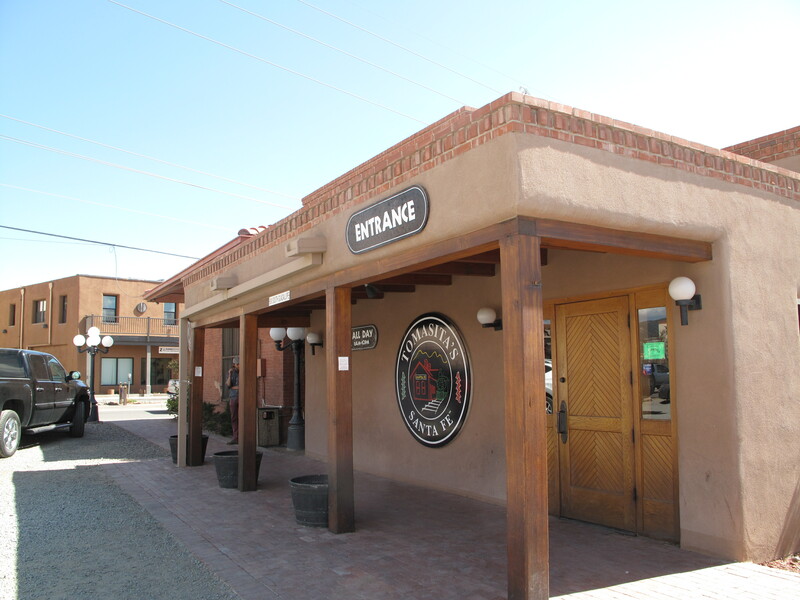 When we were patrons, Tomasitas was “off the beaten path” at an old train depot when rail traffic was a distant memory. The original building was once a hub for the “Chile Line” built by the Denver & Rio Grande Western Railroad, and because one of the biggest types of cargo was chile peppers, the catchy name came to be. Now that the train is back on the tracks, Tomasita’s is the main New Mexican food ticket for rail riders. The red chile enchiladas at Tomasitas is what red chile should taste like. Each time that bold, spicy sauce graces my taste buds, they sing out in gastronomy delight. Wash down that meal with a margarita and life is muy bueno! But wait, there’s more … when our lovely waitress brings a basket of massive sopapillas I must give thanks. Salud everyone. With our delicious lunch digesting and a few hours to spare before the next train, we made sure to first visit the nearby farmer’s market. I’m looking forward to returning to the market in the summer months for some delectable local produce. We also meandered up to the renowned Santa Fe Plaza, peaking into some of the quirky shops and strolling along the Governor’s Palace where Pueblo Indians from many of the state’s tribes sell their handmade pottery and jewelry. I’m a sucker for succulents. 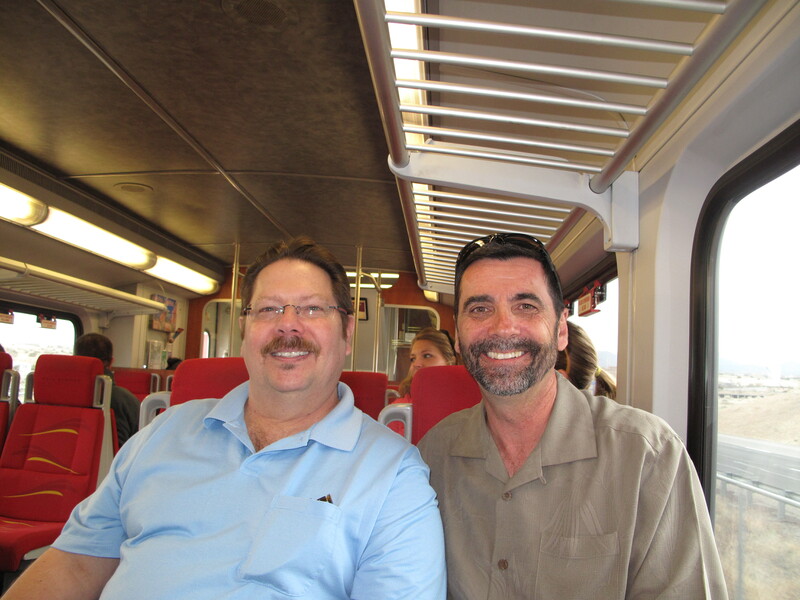 Back on the train toward home we were able to relax after all the anticipated excitement and enjoy the scenery. It’s a chance to see some of the Pueblo villages, like Santo Domingo and San Felipe, snuggled at the the pinon-dotted foothills of Jemez Mountains. We zoomed past Interstate traffic and in and out of train tunnels — it was a new view for these locals who are used to taking this route in an auto. Riding the Rail Runner provides a modern twist to an “0ld-fashioned” mode of travel, and the novelty and sense of adventure leaves you wanting to plan another exploration in this chic, back-in-time machine. I look forward to bringing you more reports of future rail adventures here in New Mexico (and hopefully elsewhere in the world). Stay tuned … meep. meep.